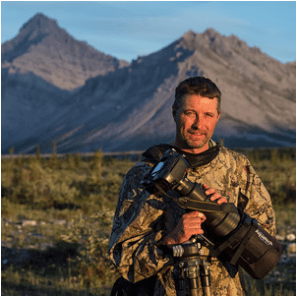 Yukon photographer Peter Mather will speak at the Whitehorse Public Library April 5, 2016. At eight years old, Peter Mather moved to Canada’s Yukon Territory and immediately fell in love with the place; its wild rivers and snow-capped mountains, and the time spent exploring the land with his father. Members of the Whitehorse Photography Club and non-members alike are welcome, hope to see you there! Peter was featured in a recent CBC story about his winning three first-place awards in the annual Oasis photo contest. In his “Birds” category winner, a couple of bald eagles feast on a salmon, alongside Alaska’s Chilkat River. 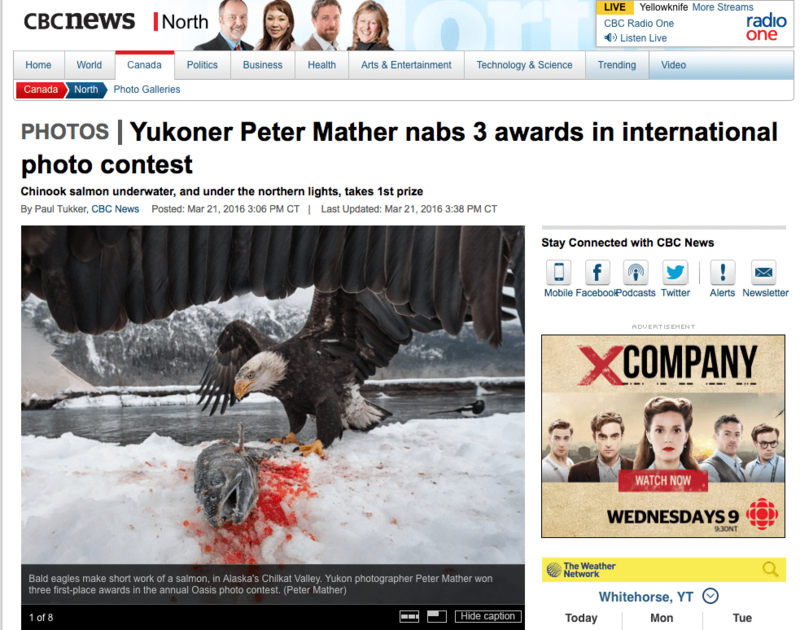 Yukoner Peter Mather nabs 3 awards in international photo contest.